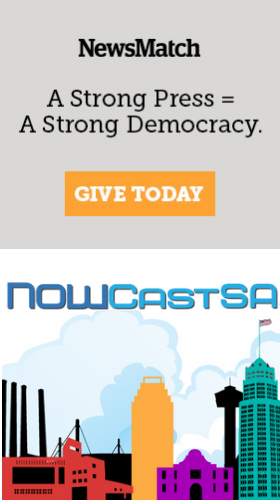 At NOWCastSA, we try to make the world a better and more sensical place by empowering people to separate facts from crap - to distinguish the real and the true from the misinformation, disinformation and sometimes deliberately deceptive information circulating online. We teach free workshops in Crap Detection. You can request an age-specific workshop for students in middle school, high school, young adult, parents or seniors by clicking here to tell us more. Want to find out of a Twitter account is real, use this handy GUIDE: How to verify a Twitter account. Wondering if Donald Trump's Tweets are truthful? Now you can fact-check them using a Chrome or Firefox extension, thanks to the Washington Post. During the 2016 presidential election, many people fell for fake news. See if you can spot the fake news stories by taking this quiz by The Guardian. This is a toolbox for the good Netizens - citizens of the Internet - who are concerned with testing the accuracy and credibility of online information and helping float the good stuff and sink the crap. The right tools make it easy. As the writer, artist and online instigator Howard Rheingold said in his seminal Crap Detection 101, “The hard part, as always, is the exercise of flabby think-for-yourself muscles.” Howard and his network compiled this amazing list of 100+ resources for Crap Detection. Publisher Tim O'Reilly also gives some useful tools in his article, How I Detect Fake News. Who is the author? If no author is listed, the information doesn’t pass the first sniff test. If an author is listed, search the name to see the author’s digital footprint. What else has the author written and what has been written about her or him? Are those sources credible? Tip: generally sites whose addresses end in .edu, for educational institution, and .gov, for government institution carry higher credibility. Who is behind the website? The site WhoIs lets you find out who owns the domain by copying a url into the WhoIs search field. Are the claims or facts backed up, or attributed? Does the story link out to credible sources? Here’s one good example of linking OUT from a story and here’s another good example of linking out from NOWCastSA. Has that photo been Photoshopped or modified? FotoForensics will help you find out and Image Edited will also let you know if the photo has been edited. Google Images has a Reverse Image Search that lets you upload an image to find similar images. TinEye also has a Reverse Image Search. What about that email your Aunt just sent with the eye-popping story? First, run it by Snopes, a search engine that debunks or verifies urban legends, myths, and misinformation. Chrome has a browser extension called Lazy Truth that automatically analyzes the validity of claims made in emails. Who can help you tell the truth from the bull in politics? Check out VoteSmart.org, whose mission is to provide free, factual, unbiased information on candidates and elected officials to all Americans. The Fact Checker, a nonpartisan Washington Post blog checks the accuracy of claims by politicians and advocacy groups. You can also check FactCheck.org to find out whether a politician’s statement is true. Is it real, or is it a scam? Fraud.org is a National Consumers League project lets people file complaints, find out about the latest scams and offers prevention tips to help you avoid being a victim. Consumer Reports is a nonprofit organization that conducts unbiased product testing and ratings, research, journalism, public education, and advocacy. You can get online access with your San Antonio Library card. Here is a quick read on critical thinking by Fast Company Design. Editors note: this story will be updated as we receive and vet additional information. If you have something to add, please click here and send us an email.